This weekend course will include lots of meditation, but also instruction and discussion, about the nature of the mind. Most of us don't really know what our mind is, even though we often refer to it in conversation. There is the surface mental activity of thoughts, feelings and perceptions, but underlying all that is the essential nature of the mind. This is something we can only really get to know through meditation. The meditations during the weekend will come from a thousand-years and more old tradition from India, called Mahamudra. One of the originators of this tradition, the great meditator, Maitripa, was the one to discover and then propagate the teachings on Buddha Nature, contained in the commentary by Maitreya, The Sublime Continuum. This sublime continuum, or 'buddha nature' is none other than the essential nature of our mind - its clarity and emptiness. This will be our quest during this weekend - to learn about, discover and become familiar with the essence of our mind, our buddha nature. This weekend retreat will build on the practices introduced by Andy in 2014 at a weekend on inner consciousness. He and Shan have recently taught and led meditations on this topic in London, Somerset and Spain. Andy Wistreich has been a practising buddhist for 35 years. He is a board member of Land of Joy and the Maitreya Loving Kindness Relic tour. He teaches and leads retreats at FPMT centres in different parts of the world. He is retired from paid employment. He used to teach in further education. He is married with four grown-up sons, and lives in Somerset in England. Shan Tate first met the dharma in 1975 and became a student of Lama Yeshe. 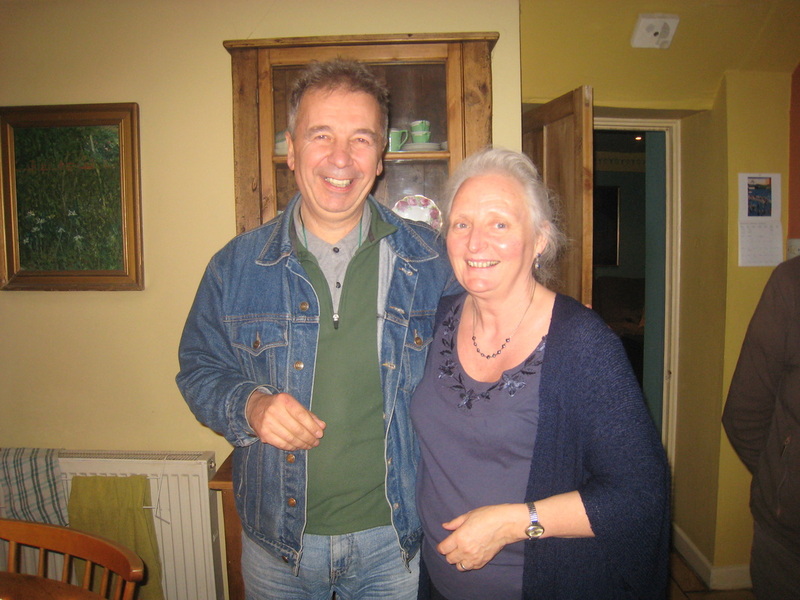 She was the director for the London FPMT centre in the 80’s and in the 90’s formed the Saraswati Study group in Somerset with her husband Andy. Shan is a Family and Systemic Psychotherapist and has worked for many years with young people with mental health and wellbeing difficulties and their families. She leads Buddhist meditations and facilitates dharma discussions in a variety of settings.